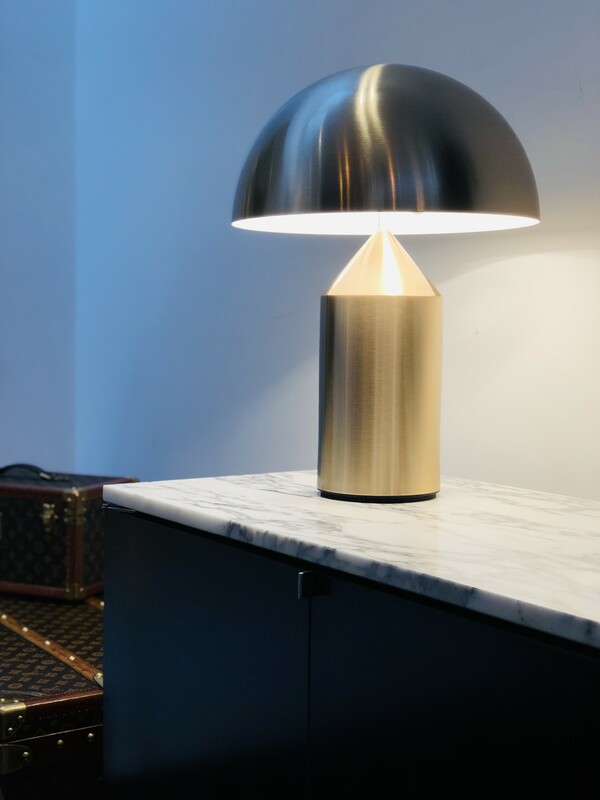 The iconic Atollo lamp was designed in 1977 by Vico Magistretti. 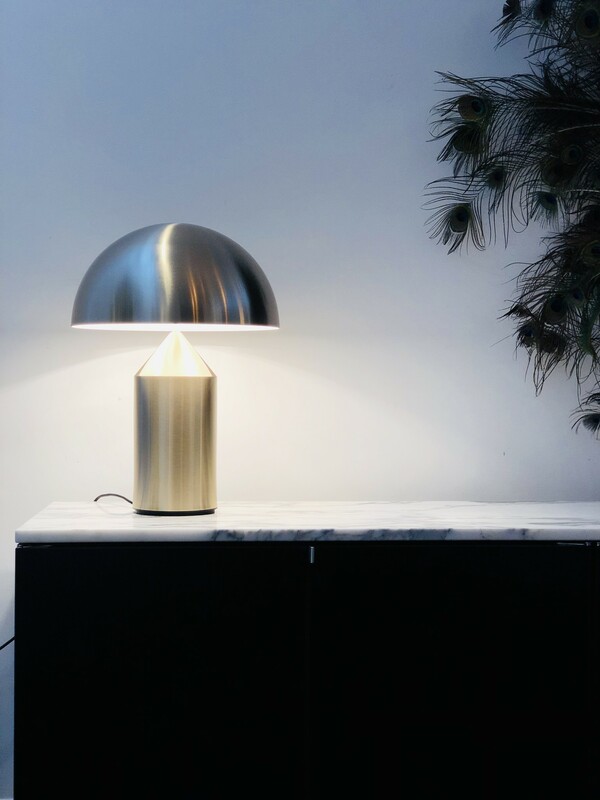 The geometric shapes that make up the lamp have resulted in a product that is both decorative and essential. The Atollo has become one of the icons of Italian design. 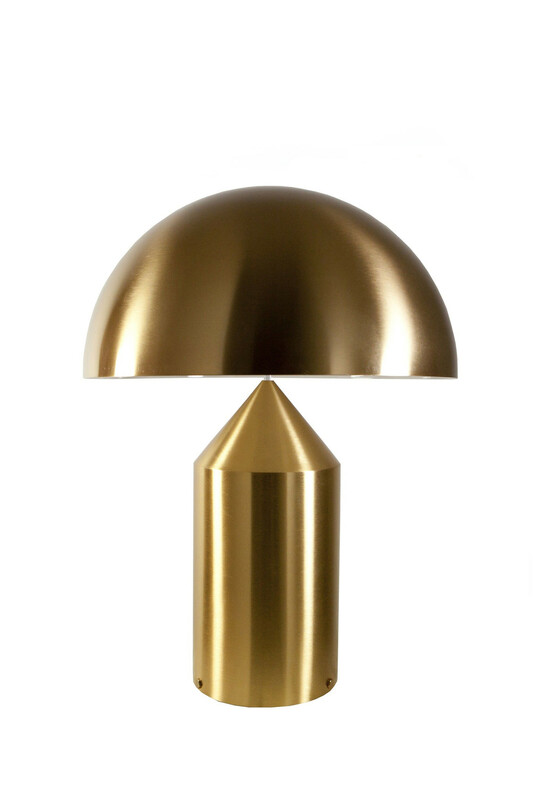 This version of the Atollo lamp is in the beautiful brass version. The lamp received various awards.